The latest online edition of FED News is out. Click on the link to check it out. 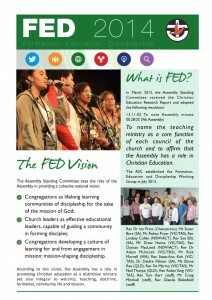 At the end of our first year of operation the Assembly Formation, Education and Discipleship unit (FED) has produced a sort of Annual Report about our activities during the year and our plans for the future. It is also an introduction to our work for those who have not yet come across what we’re doing. We hope you enjoy reading it. We would value you making it a basis for praying for our team and our work. Trinity College Qld is the new combined education provider for ordained and lay ministries in Queensland. A significant initiative for lay education it the development of Trinity OLE’ – an online learning portal that will benefit lay leaders among others. The College has been using the system (based on Moodle) for Lay Preacher training, and will shortly launch an online Introduction to the UCA as an induction program designed for people in church schools and agencies as well as church members. Mr Neil Thorpe and Rev Mel Perkins provide leadership in lay education within the College. 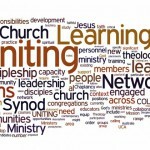 Following the creation of Uniting Mission and Education, the synod appointed Rev Duncan MacLeod as Director of the Uniting Learning Network, an initiative designed to build cohesion and co-operation among synod and presbytery education providers and UnitingCare. The Network held its first gathering in June with over 60 people attending. UME produced a White Paper on the future of formation and education which was presented to the recent NSW-ACT synod meeting. In Queensland, Mark Cornford has been working on initiatives to help people use digital technologies to grow as disciples. 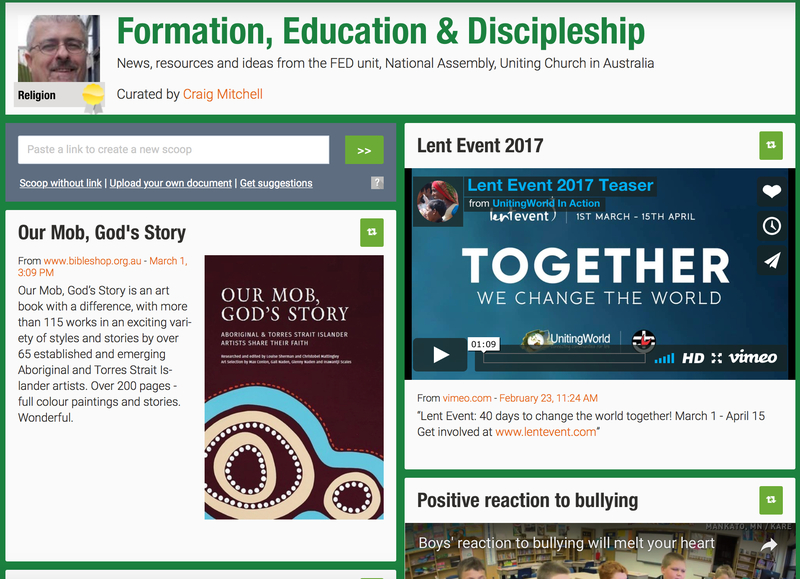 This led to the Uniting Church collaborating with the Churches of Christ and other in “A Big Year” – a 12 month discipleship process for various ages combining face-to-face gatherings. online resources, practical activities and a mobile app. VicTas Synod recently hosted its annual symposium, co-ordinated by Chris Barnett. The speakers were Rev Dr John Capper “Life in the raw: children in joy and despair”), Brendan Hyde (“Predisposed to spirituality: five ways to observe in children”) and Beth Barnett (“Objecting to objectification of children: some help from the writings of Paul”). Check here for details. 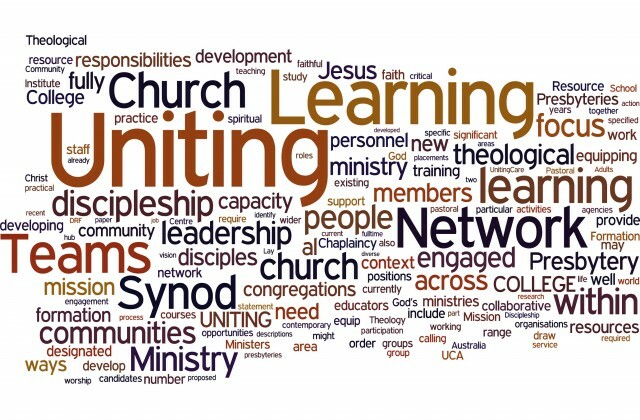 Uniting Communities in Adelaide has initiated a learning process and network for congregations to explore mission as community development. The brainchild of Rev Peter McDonald, “Faith in Action” is based on Asset-Based Community Development, or ABCD. The project has hosted a number of training sessions, as well as regular conversations among leaders of congregations seeking to make a difference in their local communities. ABCD is a method which involves discovering and developing the strengths and assets of everyone in the community.” This mirrors in interest in ABCD in NSW-ACT over several years. Port Phillip West Presbytery in Victoria has embarked on a significant strategy to reorient churches and leaders for mission. Called “Regenerating the Church“, the strategy includes training in Mission-shaped Ministry, a focus on ‘fresh expressions’, appointing ministry workers to foster fresh expressions (“regeneration ministry“), and missional coaching for ministry workers. Learning is a key dimension of the overall strategy. The website is adding videos of models of ministry and mission being explored in the presbytery. John Roberto, author of “Faith Formation 2020” was recently in Melbourne, Adelaide and Perth leading seminars on 21st Century Faith Formation. 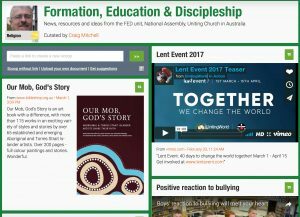 UCA Synod staff in VicTas, SA, and WA were involved in helping to organise and promote these events in co-operation with the Lutheran national staff. Find our more about John Roberto here.